Dimensions 320 mm x 380 mm. Universal - Suitable for most ovens. 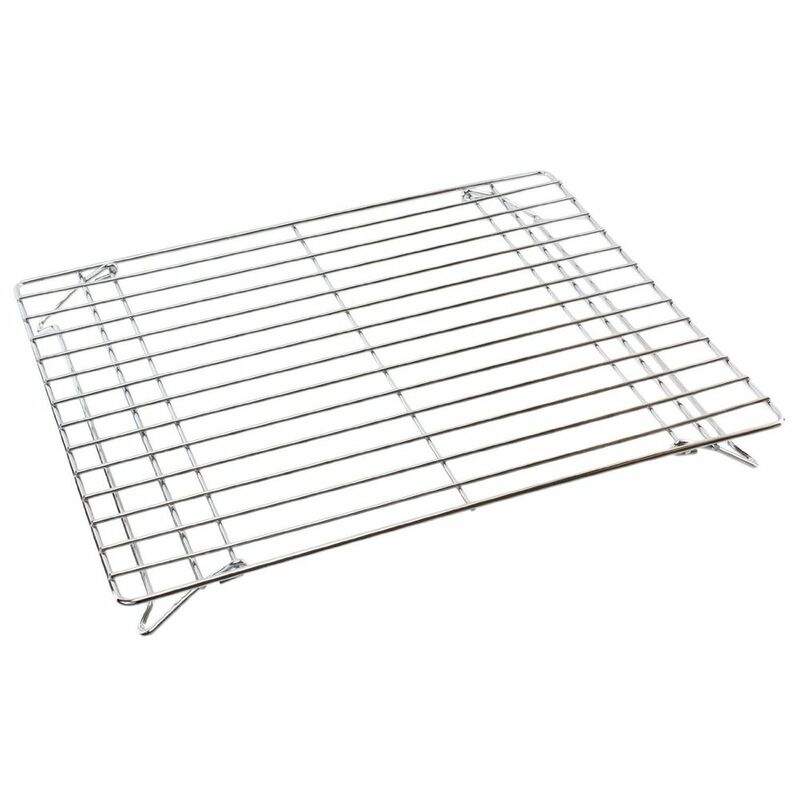 Perfect if you need an additional or replacement oven shelf. The legs simply fold flat when not in use for easy storage. Utilises wasted oven space giving you extra room. Ideal for roasting dishes and warming plates.